Speech Hon. Win. 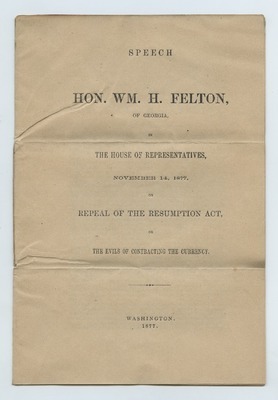 H. Felton, of Georgia, in the House of Representatives, November 14, 1877, on Repeal of the Resumption Act, or the Evils of Contracting the Currency.